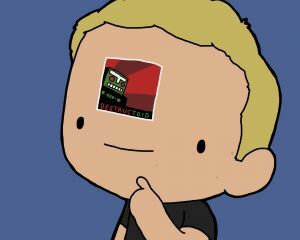 It's hard to believe that we're already nearing the seventh year of Destructoid. I've been visiting the site regularly for over two years now, yet it feels like it's been forever. From making Jim Sterling feel my junk, to getting drunk with Max and Tara in San Francisco, to partying with the best damn community on the Internet at PAX Prime 2012, I've had so many great memories in such a short time that it's hard to pick just one. So instead of picking one out of the lot, I decided I'd go with my most recent favorite: The Streamtoid 24-hour charity stream. I remember getting the email from Extra Life notifying me of the upcoming event. I did some streaming and charity for the G3 event by Xbox and Extra Life the year before, and this year I wanted to go bigger. So I came up with an idea: Why not do Extra Life for 24 hours over on Streamtoid? So I contacted Spencer Hayes to see if he wanted to try and arrange something with me and get some people to stream over the 24-hour period. A few days later, the plan changed. "Let's do the stream live from my place in San Francisco for 24 hours. I'd really like it if you could come down for it," said Spencer. Our plan was underway. I met up with Spencer the day before the event, where we finalized our schedule, lined up our giveaway prizes, and got drunk. After a mere few hours of sleep, we awoke to start our live stream. Teamed up with Philanthr0py of Dtoid TV, Stella Wong, and several other friends throughout the time, we were ready to raise money. Everything started up nice and normal. We played some Spelunky, had one of the developers of Monaco on for an interview and playthrough, and more. It wasn't until later when things started to get crazy. It started when we moved our stream to Dtoid TV. Phil, Spencer, and I started Chill with Phil with boxes on our heads while playing Metal Gear Solid 2, and they remained on our heads throughout the show. 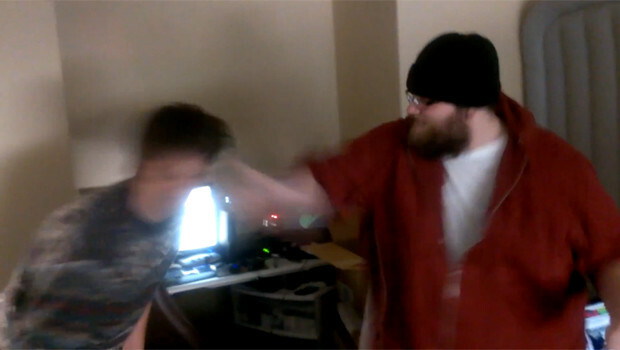 At one point we reached a stretch goal and Phil slapped Spencer in the face at full force. That was the only beginning. But it wasn't only Team Streamtoid doing awesome things "Fo' da' shawties" (which was our catchphrase for the event). Over the entirety of the stream, we had community members joining in our chat, donating games and physical items to the people who were watching us and some of our donors. On top of that, we had videos sent in to us from around the world, ranging from vApathyv and AvalonTreman just showing their support, to Conor Elsea eating mayonnaise while listening to Coldplay. The kindness of our community nearly brought me to tears; never before had I seen such generosity in people. In the end, the stream was a huge success. We raised over $1,500 for the UC Davis Children's Hospital. Spencer went through a lot of pain, and our sanity was tested after we'd been awake for over 24 hours and had to wait on a pizza that never got ordered, but I'd say it was all worth it. 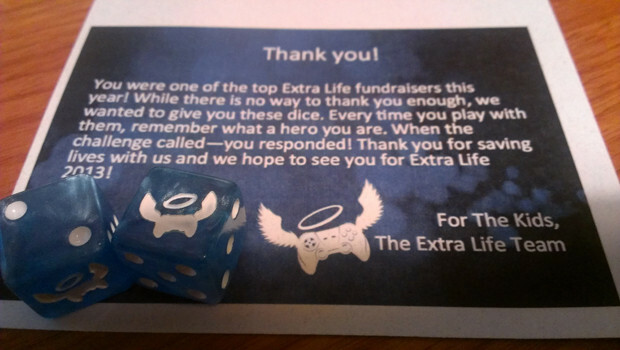 Plus, we raised enough money to where I got a set of Extra Life dice in the mail as a thanks for our efforts. While I received them, I wasn't the one who earned them. It was Spencer, Phil, Stella, Apathy, JohnnyViral, Beccy Caine, JJ, Conor, Avalon, and many more who were either on the stream or supported us by watching and donating. I cannot say thank you enough to all of you. You are all heroes. 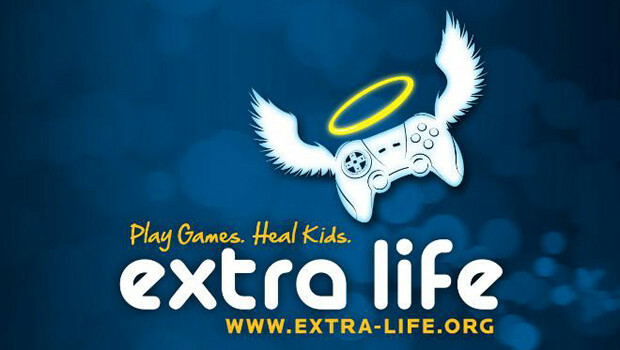 I can't wait for the next Extra Life event.